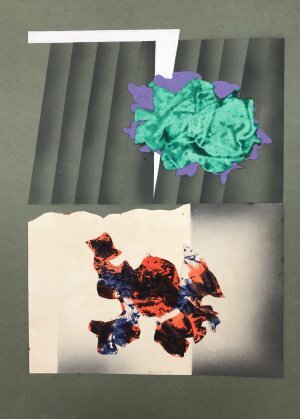 Stuart Purves and I are excited to be presenting the first solo exhibitions of Fred Cress’s work since 2010, which will mark what would have been Fred’s 80th birthday. 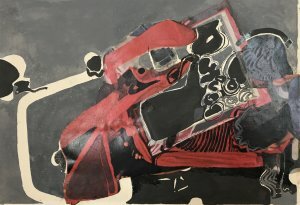 Arriving in Australia in 1962, the never before exhibited works from 1965, Artist Model Series and Red Thoughts allow us to see Fred’s early fascination with the figurative. 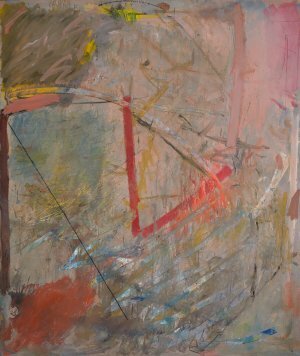 The largest work in the exhibitions, Carschenna from 1973, is a seductively beautiful work realised at the height of Freds’ study into abstraction. 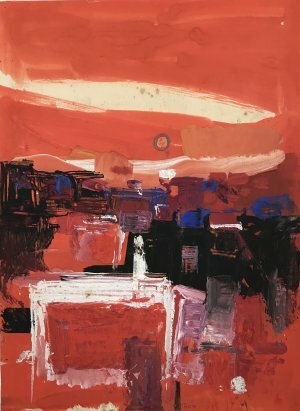 Exhibited in the first Biennale of Sydney at the Sydney Opera House in 1973, it was subsequently included in the historic exhibition Ten Australians that toured Europe in 1974-75. 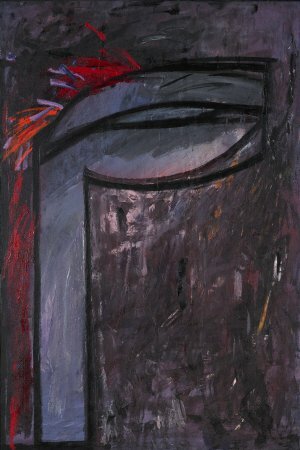 In the mid-1980s Fred’s paintings moved away from abstraction, with the introduction of recognisable objects and shadows of figurative forms.The titles also began to reveal his fascination with human emotions and relationships – The Secretive One, Player and The Joker. Fred won the Archibald Prize in 1988, with a portrait of his good friend John Beard.This significant achievement was pivotal for Fred, and provided the confirmation he needed that the figuration and storytelling in his work had found an audience. Following this award, he accomplished 20 years of successful art making both in Sydney and at his home in Burgundy, France, of paintings that delved into human relationships and their intimate interactions. 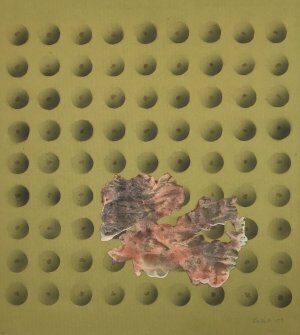 He began exhibiting with Australian Galleries in 2003, having a solo exhibition every year until his death. My first meeting with Fred was at Macquarie Galleries in Clarence Street, Sydney in September 1985, my first day working in the Australian art world. Fred, whose studio at the time was in Chinatown, would always stop by Macquarie to have a morning cup of tea and a chat with ‘the girls’. He kept business hours at the studio, which meant the end of the day often incorporated a wine before going home. Working at Macquarie Galleries for eight years, and this being Fred’s regular routine, meant that we all knew each other well - our families, friends and interests. During the 1990s & 2000s, I visited Fred in his inspiringly beautiful Burgundy home, opening up a greater understanding of his later paintings. the week before he died, Fred asked me to assist his family with the legacy he was leaving, which we are celebrating with Fred Cress – Full Circle. I am hardly the first to resort to Eliot’s sublime verse about the nature of life and the meaning of all our striving. But I can’t resist it because it is, I think, a very appropriate insight into the career of Fred Cress. 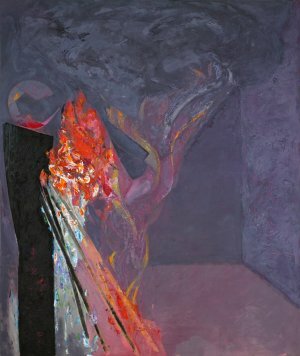 He began as a figurative painter, but established his reputation in Australia as an abstract painter, only to astonish the art world by returning to figuration in 1988. One didn’t do that sort of thing. it was meant to be the other way round: a journey through figuration to discover the fabled and true land of abstraction. And not only that. 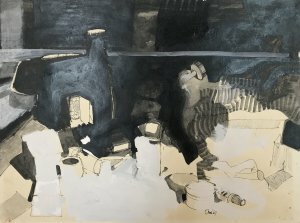 after a brief period when his abstraction was a kind of degraded figuration, Fred emerged with a wholly new figurative œuvre, a series of seemingly sardonic vignettes, his version of la comédie humaine. In 1995, in a catalogue essay, I had occasion to refer to Fred’s vision. noting that ‘vision’ can refer both to the fact of sight, but also to insight, I said that Fred’s insight was not just intellectual, but also emotional and psychological. His new figurative paintings were those of a moralistic satirist – not moralistic in the judgemental sense, but in the French sense of moralisme, having moral passion and a belief in the moral basis of life. in fact, it suggests an empathy with all humans, noting their fallibility, but retaining a capacity for charity and compassion. So, we don’t look at these paintings depicting the venality of humans in various social settings without also having a chuckle, suspecting that Fred did not exempt himself and was equally a part of that human procession of lust, greed, gluttony, gross sensuality, envy and so on. But in that essay I also noted that Fred’s version of los Caprichos illustrated “the difference between the cartoon caricatures of Daumier and the moral transfiguration of Goya, between clever draftsmanship and pictorial vision”. Temperamentally intense and with a confronting calligraphic power, these frozen moments of social drama draw us in. So much so, that we can easily miss the point that these are paintings and are meant to be appreciated as such. Fred had said to me that he had always wanted to be a “complete painter” and that abstraction had proven to be a necessary detour in order to learn how “to make paint work for itself”. 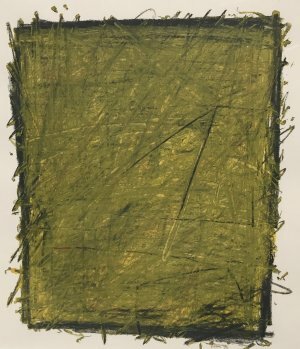 This realisation was triggered by his 1974 visit to New York where he met all the luminaries of the ‘new abstraction’ such as Greenberg, Poons, Olitski, Noland, Frankenthaler etc. But rather than confirm his commitment to abstraction, the encounter de-stabilised it and sowed the seeds of doubt. It was a damascene moment and reminded Fred that abstraction – the considered relationship of pictorial elements across a at surface – was a necessary but not sufficient condition for good painting. 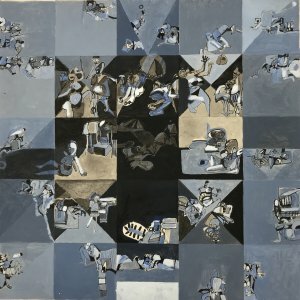 it was a realisation which went back to Roger Fry and powerfully asserted by the likes of Matisse and Picasso who stopped short of pure abstraction, acknowledging that painting had to resonate with our concrete, everyday experience of the world if it were not to become...well, too abstract. From my Eliot quote it will be clear that I believe that Fred’s work was an exploration which ultimately led him back to where he had started, but knowing it for the first time. 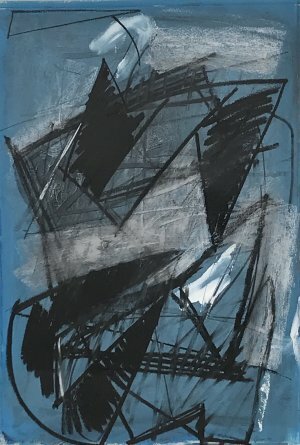 Having said that, though, one thing at least was always prominent – whether it be in the figurative, semi-figurative or abstract work – and that was his preoccupation with the nature and role of drawing. Fred had said that “all good painters are drawing painters”. 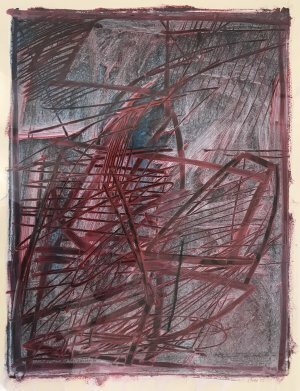 In his abstract work Fred was always trying to reconcile drawing and abstraction, the linear and the painterly. arguably, Jackson Pollock and Clyfford Still had done so, but it really contradicted the orthodoxy (as espoused by Clement Greenberg) of the unity of the picture plane, no depth and no referential elements. 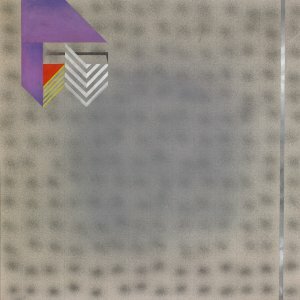 Fred’s best abstract work from the mid-1970s to the mid-1980s explores this reconciliation, but inevitably his graphic gestures across colour-modulated surfaces implied depth and, by extension, narrative. so, it was – in hindsight – not surprising that his two-month New York sojourn provoked a crisis. It so happened that it coincided with a crisis in his personal life as his first marriage broke up. 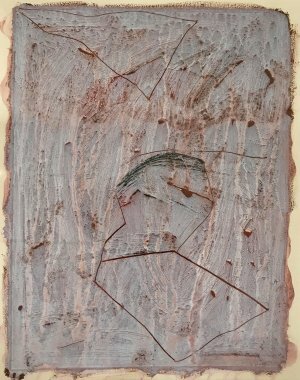 The reflections that this personal crisis invoked presumably triggered a need in Fred to deal with them through his art – and it was a need that demanded some form of pictorial story-telling. Goya-like as these new paintings proved to be, they have an irony to them. They depict a world of which we, too, are a part. We may be tempted to condemn the behaviour depicted, but are forced to concede that we are just as guilty as the social actors captured in evidentiary moments by Fred’s camera-like eye. Abstract as the abstract pictures are, they call attention to how they are made. The graphic gestures remind us of the hand that made them and draw attention to the colour-field behind them. Similarly, the later figurative work does far more than depict problematic human behaviour. To begin with, Fred’s characters behave as though they were in private, not public, and oblivious to us the observers – or voyeurs as are some of Fred’s characters themselves. This makes us aware of the fact that we are looking at a painting, not real life. This defamiliarising device is often amplified by the use of an interrupting element – a repoussoir device – which interrupts our view of the main event, prompting us to look more critically at it. 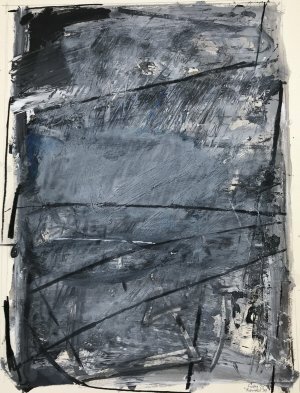 At the same time, Fred frequently has a kind of vortical perspective which pulls us down into the picture making us feel as though we were a part of the scene depicted, only to be pulled back to the surface again by Fred’s painterly treatment of the surface. He is constantly drawing attention to painterly contrivance. Powerful perspectival composition is balanced by the strong rhythms across the surface driven by the deeply modelled figures. 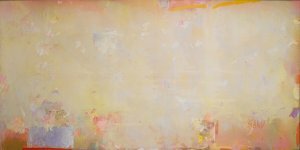 Just like any good abstractionist, colour areas are coordinated across the surface of the painting to create a unity of the picture plane, often with light coming from several sources rather than just the one as in traditional figurative painting. So, while it is easy to be sucked into Fred’s demi-monde, he nevertheless has an array of devices which drag us back and remind us that we are, after all, looking at a painting. Despite the illusions, it is a painting we are looking at, not real life. 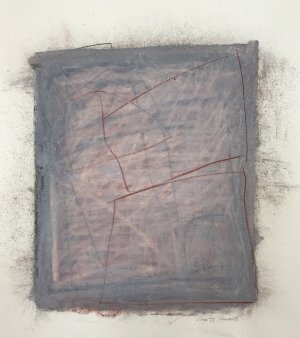 the real issue is the tension between what is depicted and how it is being depicted, and resolving that tension demands the active participation of the viewer. and that, in a word, is what the Western tradition of painting has always been about. 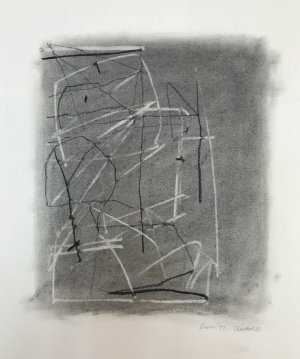 That makes Fred Cress a traditionalist – and an abstractionist at the same time. as Fry argued, all those formal decisions by the artist are actually what the painting is about; the figurative elements work in harmony with the formal character to animate the painting and provide the frame for generating aesthetic meaning. So, Fred Cress came full circle, back where he started, having explored and charted the liminal edges of his artistic world. even his final Guide paintings with the central skull – Fred’s reconciliation with his imminent death, which happened in October 2009 – deliver their message while never abdicating their identity as paintings.